The Stuff I Need app has been updated to version 1.1 in BlackBerry World. 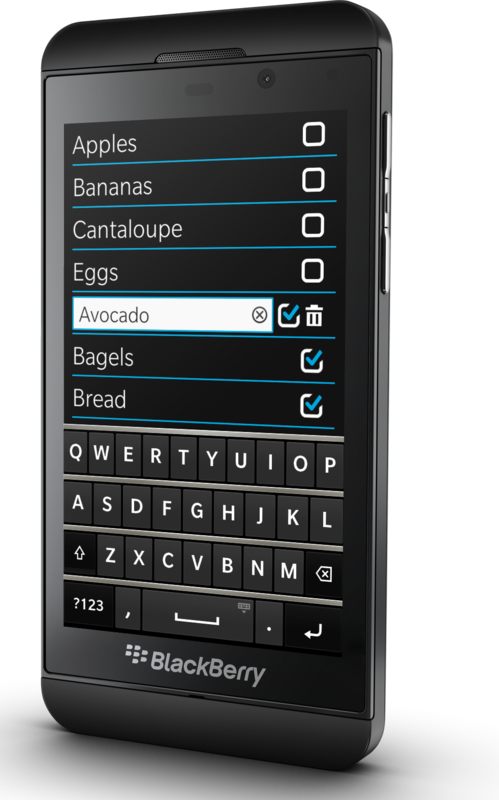 This new version adds support for the BlackBerry Q10, and also includes a delete all function on the options page in order to make it easier to refresh your list. Originally conceived as a grocery list app, this minimalistic checklist can be used to keep track of the stuff you need to get, or the stuff that you need to do.